Our goal is to connect people with the best local experts. We scored home inspectors on more than 25 variables across five categories, and analysed the results to give you a hand-picked list of the best home inspectors in Baton Rouge, LA. A Plus Home Inspections is a locally-owned home inspection business serving Baton Rouge and surrounding areas. The inspector, Larry Boudreaux, has more than twenty years of experience in the industry. He is a graduate of Louisiana State University and Baton Rouge School of Home Inspections. He is licensed by the Louisiana State Board of Home Inspectors and a member of professional organizations, including American Society of Home Inspectors and National Association of Certified Home Inspectors. A Plus Home Inspection has a five-star rating on Facebook. A Precision Inspection is an experienced home inspection company serving Baton Rouge and most of southern Louisiana. They have a licensed inspector on staff with more than eight years of experience in the industry. He is certified through the National Association of Certified Home Inspectors and FHA and NACA approved. Customers give A Precision Inspection a five-star rating on Facebook. They speak highly of the thorough and knowledgeable service they received. Accent Home Inspection is a Louisiana home inspection company serving the areas of Baton Rouge, New Orleans, and Lafayette. They provide inspection coverage of a home’s exterior, roofing, foundation, interior, electrical system, plumbing, heating and air conditioning, doors, windows, porches, and more. Accent Home Inspections is licensed by the State of Louisiana to perform home inspections. Advanced Building Inspections is a licensed and insured home inspection business serving East and West Baton Rouge and surrounding parishes. They specialize in residential and commercial inspections, termites, WDI reports, mold testing, leak detection, synthetic stucco inspection, and energy audits. Advanced home inspections include an infrared inspection and a visual inspection. Infrared inspections can determine internal structural problems, moisture concerns, rodent infestations, leaks, and more. Visual examinations look over electrical, structural, roofing, heating, plumbing, exterior, interior, fireplaces, insulation, and ventilation. The home inspector is a specialist in infrared residential inspections and is certified in Level one Thermography. Affordable Home Inspections BR, LLC is an ASHI and NACHI certified home inspection business located in Baton Rouge, Louisiana. Their home inspections include more than two hours of onsite inspection and a personalized custom report with photos. They examine a home’s foundation, structure, crawl space, roofing, water heaters, heating and air conditioning, interior systems, and more. They are licensed by the State of Louisiana and certified by the Louisiana State Board of Home Inspectors. The company receives multiple compliments on their attention to detail and thorough property examination. Battley Home Inspection Services is a Baton Rouge-based business that specializes in home inspection services. Their inspections cover examination of roofing, exterior, foundation, grading, plumbing, insulation, electrical, fireplaces, ventilation, and heating and cooling systems. They will also perform inspections on swimming pools, spas, detached garages, and detached living areas. Battley Home Inspection Services offers different types of inspections, including pre-purchases, thermographic, and energy audits. They use a systemized approach to the inspection process to maximize efficiency and coverage. Bayam Home Inspections, LLC is a locally-owned company that provides home inspection services for the greater Baton Rouge, Louisiana area. They provide their services for freestanding homes, condominiums, and townhomes. Their website offers a list of standard prices based on the square foot and age of the structure. The owner, Robert Bayam, is a licensed home inspector for the state of Louisiana. C.W. Inspections LLC provides home inspection services for the metro Baton Rouge area. They provide unbiased and thorough evaluations with detailed reports. Inspections include examining structure, electrical, heating and air conditioning, plumbing, crawl spaces, interiors, exteriors, and construction phases. C.W. Inspections, LLC is the recipient of Thumbtack’s 2015 and 2016 Best Of award. Geaux Home Inspections, LLC is a husband and wife owned company that provides home inspection services to the Baton Rouge area. The pair of licensed home inspectors focus on providing comprehensive and accurate inspections. They provide detailed notations and photos in their reports. The owners, Richard and Robin Campbell, bring their own strengths to the inspection. Richard has a background in construction and Robin finished in the top of her inspection class. HDMK is a Baton Rouge business that focuses on construction, home inspection, and pest control services. Their inspection services include home inspection, project and contractor oversight, new construction phase inspections, final walk-through inspections, foreclosure inspections, insurance inspections, and more. The family-run business has a five-star rating on Facebook. Clients compliment the thorough work and timely service. Homeguard Home Inspections, LLC is a Louisiana company that offers home inspection services for Baton Rouge and many surrounding parishes. The licensed and state certified company has been in operation for more than two decades. They offer different inspection packages, including full inspections, package deals, mechanical inspections, and one component inspections. Full inspections include coverage of electrical, heating and air, plumbing, built-in kitchen appliances, structural components, roofing, exterior, interior, insulation, and ventilation. Complete reports are submitted within twenty-four hours of inspection. Homeguard Home Inspections, LLC follows the code of ethics from the Louisiana State Board of Home Inspectors. LeBlanc's Home Inspection has provided home inspection services to the greater Baton Rouge area for more than a decade. They specialize in residential and light commercial inspections as well as pest control. Their services include inspection of the site, foundation, exterior, garage, roof, heating and air conditioning systems, electric, plumbing, attic, interior, and appliances. They are licensed by the State of Louisiana. Paragon Inspections is a locally-owned home inspection business serving southern Louisiana. The owner, Scott Guidry, is licensed with the State of Louisiana and certified by NACHI. The company provides inspections for drainage problems, structural issues, faulty plumbing, electrical issues, major appliances, heating and cooling systems, roofing, insulation, exteriors, interiors, and flooring. They provide detailed reports with color photos. Pendulum Home Inspections is a home inspection company that serves the Baton Rouge area. They provide detailed reports on every major component of the home, major and minor deficiencies, helpful home preservation tips, safety concerns, and more. They perform inspections for pre-purchases, new construction, and pre-warranty expirations. Pendulum Home Inspections is certified by the American Society of Home Inspectors and work to follow nationally accepted standards of practice. Ron Morrison Home Inspection is a locally-owned Baton Rouge business that specializes in home inspections. The inspector is a member of the National Association of Home Inspectors, the National Association of Realtors, the Baton Rouge Board of Realtors. He is also certified by the Association of the Wall and Ceilings Industry International for Exterior Insulation and Finish Systems. Customers compliment the detailed and thorough reports and the honest and reliable service they received. Roussel & Co. has provided home inspection services for the greater Baton Rouge area since its inception in 2010. They provide their services for home buyers, sellers, and new construction. 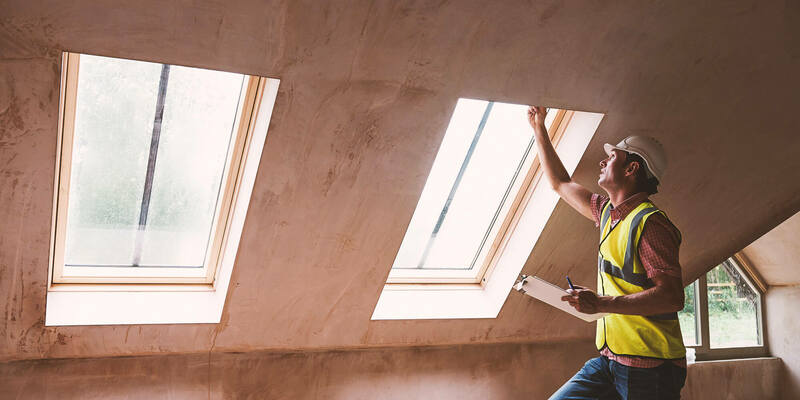 Their inspection reports include coverage of roofing, exteriors, garages, interiors, structural components, plumbing, electrical, heating and air conditioning, insulation, ventilation, and built-in appliances. They are licensed by the Louisiana State Board of Home Inspectors and members of Baton Rouge Association of Realtors and Capital Region Builders Association.